Tibet, probably the only place in China where you can still see sky and cloud like this. 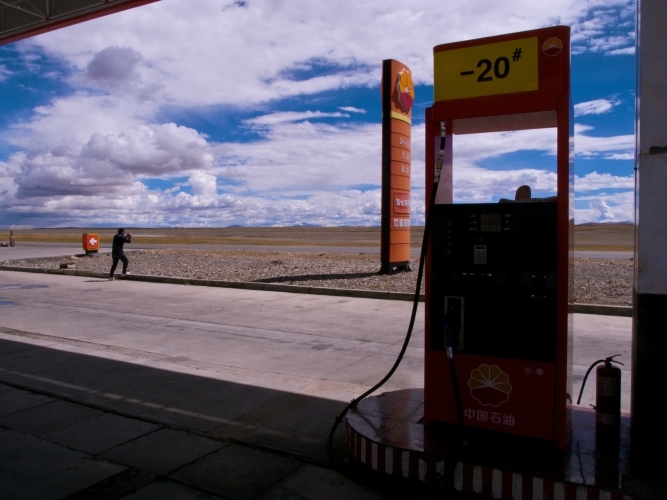 We were driving north from Lhasa to Qinghai province. This is the only gas station after leaving the tiny town 600km ago.